Our IoT future will depend upon a multi-industry effort to build faster, stronger wireless networks. Millions of drones, roaming the earth. No, it’s not a scene from The Terminator—it’s an example of what fifth-generation, or 5G, networking will eventually enable. Intel CEO Brian Krzanich used a small drone as a prop during a Monday panel at Mobile World Congress, where he discussed the impact of faster, stronger wireless networks on our lives. 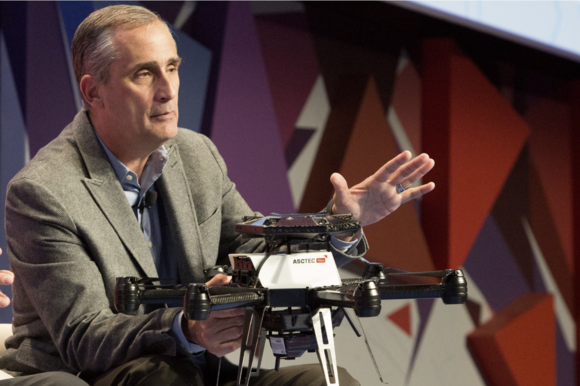 As Krzanich dandled the drone on his lap like a favorite child rather than a destroyer of mankind, he explained that the device, equipped with 4G LTE and a RealSense camera, was capable of revolutionizing package delivery. To do so safely, however, the drone needs to interface wirelessly with data sources (such as a pilot, digital maps, and weather forecasts), and also needs to beam data (such as views from its camera and other sensors) directly to the network. 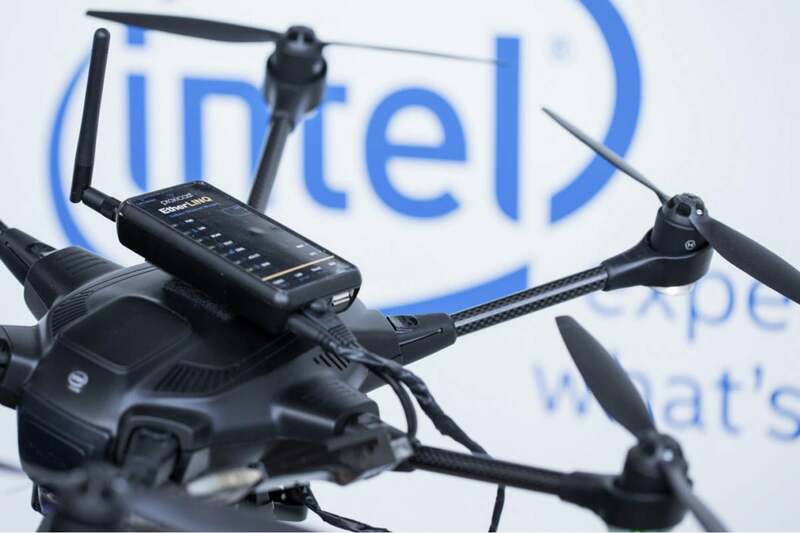 At Mobile World Congress, Intel CEO Brian Krzanich broke out a drone to show the kinds of devices that would benefit from a faster, stronger wireless network. Based on the 802.11ac standard, 5G is a blanket term for a host of new technologies being developed to enable significantly faster wireless networks. We need faster Wi-Fi not just to download more movies, but to nurture the growth of connected things, from toasters to passenger trains, and God help us, drones. All these things need more bandwidth to send and receive data. Also, the data needs to move faster if we want those things to react in a timely manner. Data speed is especially an issue for moving things, like the aforementioned drones and trains, as well as self-driving cars. Krzanich compared the current 4G wireless standard to the 5G technology that’s now in the works. “4G was about us and our phones,” Krzanich said. Imagine, as Krzanich has, that millions of things will be connected within a few short years, and you can see why companies like AT&T, Ericsson, and Intel are hurtling forward with plans to develop (and sell) 5G-level technology. All three companies have stakes in the 5G future, whether it’s building out infrastructure or providing the chips and data centers for managing connected devices. These industry heavyweights know the world will be hungry for greater connectivity, and they want to feed that need. Indeed, if it means a drone will fulfill your Domino’s pizza order in five years—or deliver much-needed vaccine to a remote village—you can see the promise of 5G. Though I still reserve the right to feel paranoid about drone invasions.